I have recently decided to try preparing my own food and not rely too much on fastfood/restaurants/cafeteria food every time I go hungry. I am not a good cook but it’s a necessity to at least know the basics so here’s me embracing an adventure in the kitchen. I will not be sharing my own recipes. I’ll just share where I got them and some lessons learned when I tried it hehe. So, last weekend, I labored in the kitchen to cook this week’s meals, mostly for lunch and dinner. 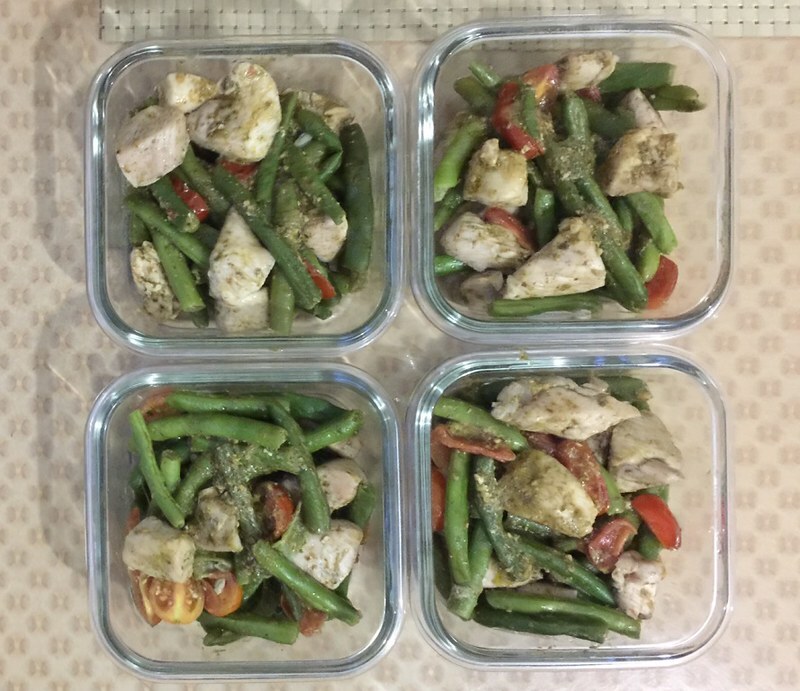 One of them is the Chicken and Beans Pesto. I always wondered why cherry tomatoes are expensive so I never bought them. Now I know. They taste so good!!!! The recipe is simple but adding cherry tomatoes made it more yummy! I saw another version from here. 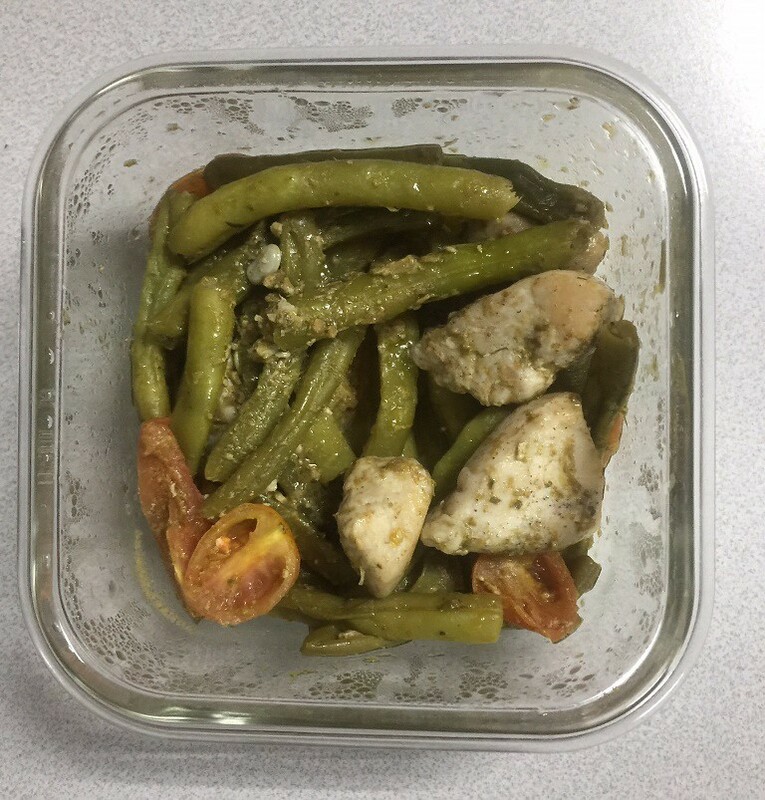 Her version of not mixing everything with pesto is also a good idea because you get varying tastes in one meal. I’ll try that when I cook this again. I need to be more careful next time not to overcook the veggies. I cut the beans shorter so that it’s easier to eat. Next time, I’ll cut the chicken into smaller cubes and lessen it too. I’ll just add more beans. Meals on repeat? No problem! Just eat. Meal at the work station. Ooops, I was halfway through when I remembered to take a picture. Note to self: look for a beautiful place mat or table cloth to use as background for food pictures hehe.